A stunning exploration of the relation between desire and psychopathology, The Death of Desire is a unique synthesis of the work of Laing, Freud, Nietzsche, and Heidegger that renders their often difficult concepts brilliantly accessible to and usable by psychotherapists of all persuasions. In bridging a critical gap between phenomenology and psychoanalysis, M. Guy Thompson, one of the leading existential psychoanalysts of our time, firmly re-situates the unconscious - what Freud called "the lost continent of repressed desires" - in phenomenology. In so doing, he provides us with the richest, most compelling phenomenological treatment of the unconscious to date and also makes Freud's theory of the unconscious newly comprehensible. In this revised and updated second edition to the original published in 1985, M. Guy Thompson takes us inside his soul-searching seven-year apprenticeship with radical psychiatrist R. D. Laing and his cohorts as it unfolded in counterculture London of the 1970s. This rite de passage culminates with a four-year sojourn inside one of Laing's post-Kingsley Hall asylums, where Laing's unorthodox conception of treatment dispenses with conventional boundaries between "doctor" and "patient." In this unprecedented exploration, Thompson reveals the secret to Laing's astonishing alternative to the conventional psychiatric and psychoanalytic treatment schemes. Movingly written and deeply personal, Thompson shows why the very concept of "mental illness" is a misnomer and why sanity and madness should be understood instead as inherently puzzling stratagems that we devise in order to protect ourselves from intolerable mental anguish. 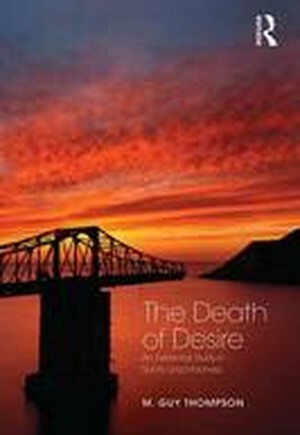 The Death of Desire offers a provocative and challenging reappraisal of depth psychotherapy from an existential perspective that will be of interest to psychoanalysts, psychotherapists, philosophers, social scientists, and students of the human condition. Preface to the First Edition; Preface to the Second Edition; The Myth of Mental Illness; That Discreet Object of Desire; Ressentiment: An Existential Paradigm for Symptom Formation; Deciphering "Psychopathology"; What to Make of an Incidence of Incomprehensible Madness (or A Clinical Case Not so Easy to Diagnose); The Unobjectionable Transference; Love and Madness; On Sanity.